Amazon’s newly released Echo Dot is an answer to the Google Home Mini. The 2018 Echo Dot v3 basically takes the best attributes of Echo Dot v2 and combines it with Google Home Mini. With a new design and improved sound, you are probably wondering the real differences between Amazon Echo Dot v2 vs v3. As long time users of the Echo Dot v2, we wanted to test out the new Echo Dot v3 side-by-side with its previous version to see if it’s worth upgrading. Here is what we found. In the video above, you will see us test Echo Dot v2 and v3 volume levels using decibel testing. Find out which one is louder, and how much we had to shout for each smart speaker to hear us. 1.3 Should I Upgrade to v3? Overall, there are not very many additions in the latest version when you compare Amazon Echo Dot v2 vs v3. The latest version greatly improved on v2, but didn’t add any huge hardware features that were missing before. The device was announced at a surprise news conference where everything from the new Echo Show to an AmazonBasics microwave were unveiled. Here are the improvements we discovered during our Echo Dot v3 review. Improved sound. The new Dot sounds much cleaner and fuller compared to the v2. We show the differences in our Echo Dot v3 review video above, although it doesn’t quite do it justice. While the Echo Dot v2 sounds similar to a basic cell phone speaker, the new Echo Dot v3 is impressively loud. It’s incredible how much they were able to improve the sound from the previous version, while keeping the price the same. Part of the reason for the improved sound quality is its larger speaker. The v2 Dot is a 1.1″ speaker, while v3 is increased to 1.6″. While this might not look significant on paper, it adds up to a much stronger sound in testing. One important note is that since the 2018 Echo Dot v3 is louder, it has a difficult time hearing the wake word when its volume is on full blast. This has always been an annoyance for Echo owners, but it might be a little worse since the music turns up louder on v3. In short, if you’re wondering if you will have to shout at the Echo Dot v3 to hear you while music is playing, the answer is still yes. New design with soft sides instead of plastic. 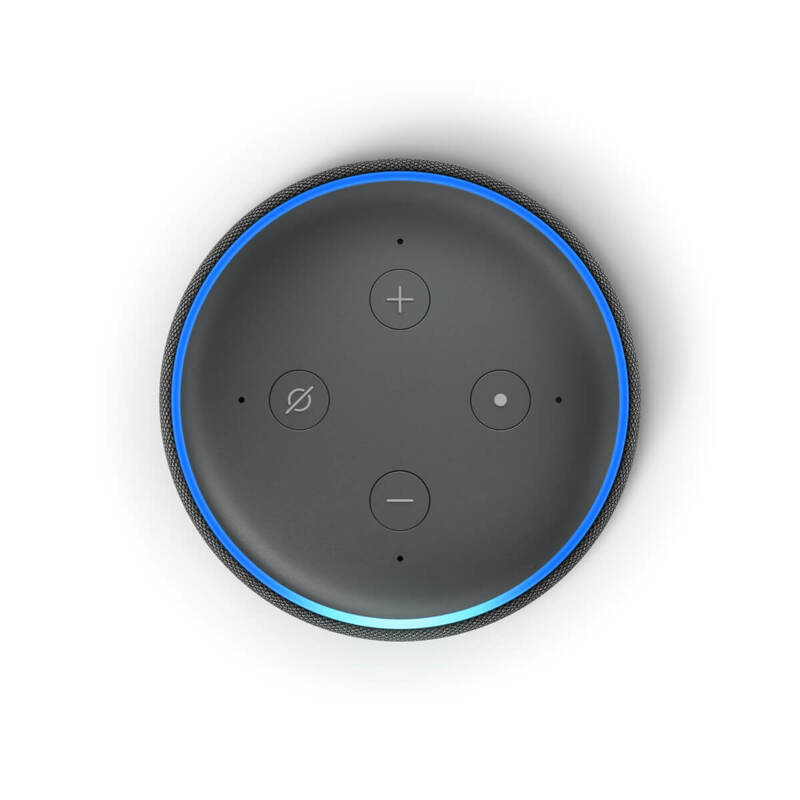 The v3 speaker is on the sides of the Echo Dot instead of on top of it. Add in its softer sides and the fact that the glaring Amazon logo is removed from the side, and it’s clear that v3 looks significantly nicer when comparing Amazon Echo Dot v2 vs v3. Since this will likely be visible somewhere in the middle of your home, a greatly improved design is a significant improvement. It also adds functionality; during our Echo Dot v3 review, we noticed that the bottom of the v3 feels grippy, reducing the chances of it sliding. Better microphone. While the Echo Dot v2 has 7 microphones and Echo Dot v3 only has 4, the Dot v3 actually heard us much better, especially from a distance. Stereo sound capabilities. You can connect two Echo Dot v3’s to one another for stereo sound. This will make one Dot the left channel and the other Dot the right. If you add the Echo Sub then it will add strong bass. You can control all of this with your voice using Alexa as an equalizer (check out this tutorial for more information). It’s easy to change the equalizer using the Alexa app as well. Left/right stereo features are only available in the latest v3 version of the Echo Dot— you can’t pair v2 and v3 Echo Dots for stereo sound. Additional gray options. The 2018 Echo Dot v3 basically comes in 3 shades of gray: charcoal, heather gray, and sandstone. These are not the most exciting of options, but the heather gray does offer an additional option compared to Echo v2, which only came in black or white. Small 15-watt power port instead of the micro-USB power port on the v2 Dot. This is a small change that you will notice when plugging in your Dot for power, but won’t effect day-to-day use. Same buttons on top: volume up/down, mute, and action button. Same light ring. This illuminates the top of your Dot when Alexa hears the wake word. It lets you know she is listening and recording what you’re saying. External speaker connection using Bluetooth or the 3.5 mm stereo output. 90-day warranty, with extended warranties offered. Same library of skills, smart home compatibility, music playback options, and functionality for calling/dropping in on other Alexa devices. See the 100 best Alexa skills for a few ideas to get you started. 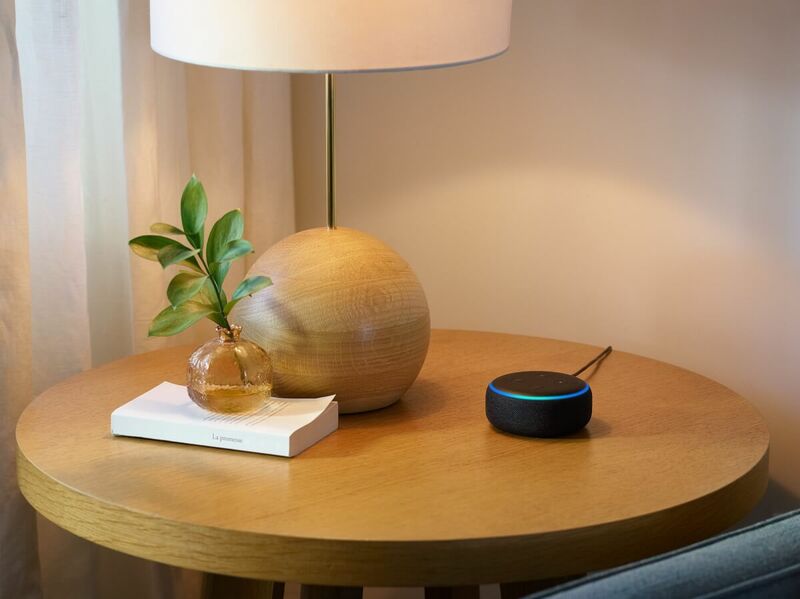 Setup stays the same: plug in your dot to power, use the Alexa app to connect it to your WiFi, and you’re done. It’s a very easy setup regardless of whether you choose Amazon Echo Dot v2 vs v3. Should I Upgrade to v3? Echo Dot is one of Amazon’s most popular smart home products. If you’re like me and already have a few Dots around your home, you may be reading this Echo Dot v3 review to figure out if you need to upgrade all of your dots to the latest v3. The good news is that the v2 and v3 devices essentially work the same. Unless you really want the improved sound and design that comes with v3, you can stick with v2 comfortably. Version 3 is also nice for the stereo functionality, but if it’s not something you would use then v2 is just fine. Keeping your Echo Dot v2 makes sense if you typically connect to Bluetooth and don’t use usually the Dot’s speaker for music playback. Although, if that describes your situation, you may want to look into the Echo Input, which is a cheaper option that and adds Alexa to external speakers using 3.5 mm or Bluetooth. Version 3 could be a nice addition if you want to add an Echo Dot to another room and want superior audio quality at an affordable price. If you can’t stand the look of the original and prefer the new design, it would also make sense to replace your version 2 with Echo Dot v3. Even if you already have Echo Dot v2, there might be a use case for adding the new v3 Dot in a different room. I’ve found that it’s difficult to have too many Echo Dots in my home. There’s always another area where I could use some Alexa automation. While I started with one in my family room, I’ve since added a Dot in my bedroom for music, alarms, and smart home control. I’d probably have more Echo Dots sprinkled throughout my home, except that I already have other Alexa devices like the Fire TV tablet in Show Mode (video tutorial here) and the Ecobee Switch+. My point here is that even if you have v2 and are looking at Amazon Echo Dot v2 vs v3 to figure out if you should upgrade, you can easily add a v3 Dot elsewhere in your home and see how you like it. If its improved sound and aesthetics make you fall in love, then you can always ditch your v2 Dots down the road. See it at Best Buy. 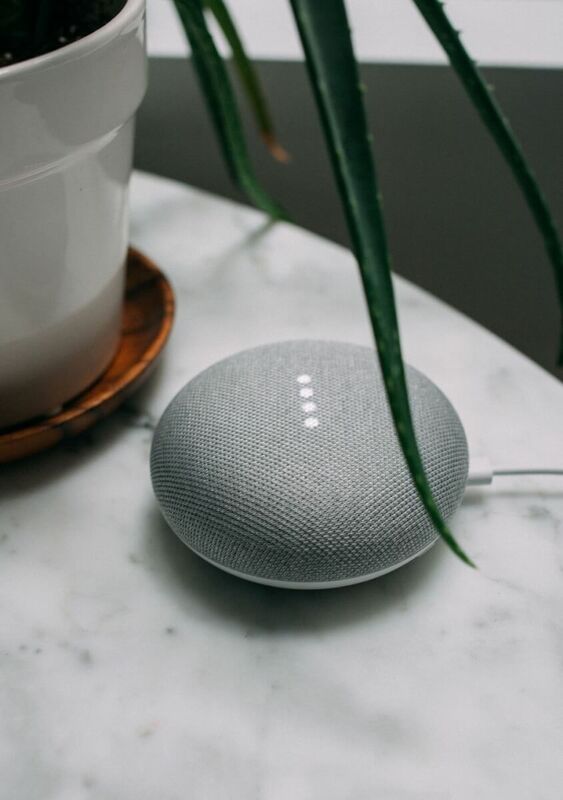 Photo of Google Home Mini by Charles Deluvio on Unsplash. There’s no doubt that the Echo Dot v3 looks very similar to the Google Home Mini. 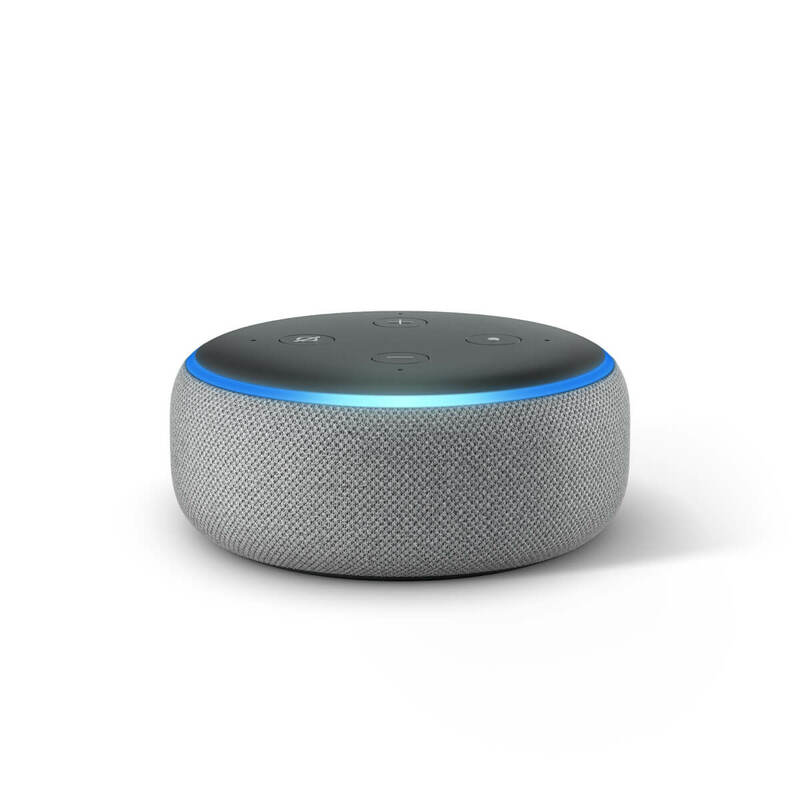 I would say Amazon used the Google Home Mini for inspiration, but Amazon was actually the first ones to come up with the mini voice assistant category in the first place, with their original Echo Dot. So I guess they are both ripping off each other…? Unlike the Dot v2, which had obviously weaker sound, the new v3 Dot offers audio quality similar to the Google Home Mini. In our Echo Dot v3 review, we found that the v3 was slightly louder and had a slightly stronger bass, but to most ears the audio would sound really similar to the Google Home Mini. Just like Echo Dot v3, Google Home Mini lets you adjust equalizer settings, change the wake word, and do most controls for the device using your voice. When looking at design and specs of Amazon Echo Dot v2 vs v3 vs Google Home Mini, it’s clear that the Mini is truly more similar with the 2018 v3 Dot than v2. While there aren’t tons of differences between the Echo Dot v3 and Google Home Mini, there are a few notable ones worth mentioning, as listed below. Google Assistant is better in some ways. It works with different smart home gadgets, and while Alexa is still compatible with more devices, Google is quickly catching up. Google also answers questions more intuitively in some ways, improving the user experience overall. In fact, while Tom’s Guide selected the Echo Dot as the overall winner between Echo Dot vs Google Home Mini, the Mini won the voice assistant category since the Google Assistant is more helpful. Google Music is offered through the Google Assistant. This means you can easily upload your own music and have it play on the Google Home Mini. With Echo Dot, you’re limited to audio streaming services offered by Alexa, like Spotify and others. The Google Home Mini offers more variety of colors compared to the Echo Dot, which comes in shades of gray. The coral Google Home Mini is a pink/orange option for adding a pop of color to your home. Google Home Mini lacks audio output. While it offers Bluetooth input, no output is available. You also can’t attach a cable for audio output like you can on the Echo Dot devices. It may not hear you as well. If Google Home Mini is playing music on full blast, you’ll have to shout “HEY GOOGLE” at an uncomfortably high volume if you’re far away. Just watch our video to see what we mean. The Mini only has 2 microphones, which may impact its response. There are no touch controls on top of Google Home Mini. While these were previously included, Google disabled it because the buttons kept getting stuck, so it was always recording and listening. However, Google later re-enabled the side buttons for controlling your Google Home Mini manually, although this may be less intuitive. If you like the physical controls on top of the Echo Dot, you will want to avoid Google Home Mini since it only has side buttons. Mute switch is located on back. Muting your Google Home Mini requires two hands, since you have to hold down to the device while flipping the switch on the back. This isn’t that big of a deal unless you use the muting feature often. After comparing Amazon Echo Dot v2 vs v3, we are glad we took the leap and updated to the Echo Dot v3. Our Echo Dot v3 review found that the 2018 Dot has a better look, sound, and value overall. It’s the same amazing, small Alexa that took over the smart home scene a few years ago, but now it sounds impressive. 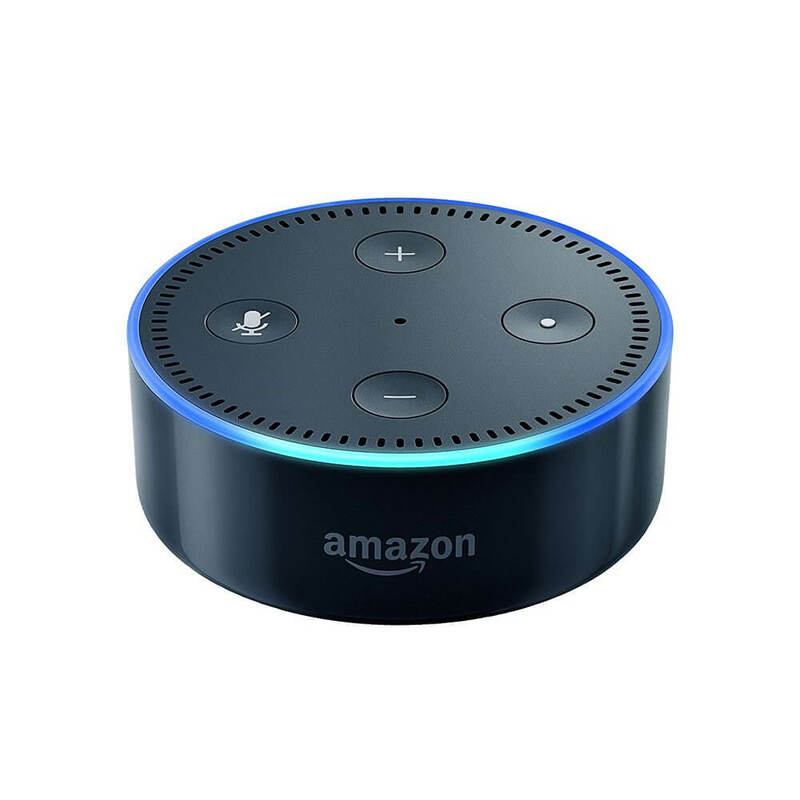 If you decide to get an Echo Dot and want to know other compatible devices, check out our Smart Home Solver tool, which lists out everything that works with Alexa. You can also check out our comparison of the Echo Dot with the Tap and Show at this link.